Lionel Messi being rested was not the reason why Barcelona slipped to a 2-0 loss away to Sevilla in Wednesday's Copa del Rey quarter-final first leg, says Luis Suarez. Messi, who came off the bench to help Barca beat Leganes in LaLiga at the weekend, was left out of the squad by Ernesto Valverde for the trip to Seville, the Barca boss having an eye on next month's Champions League tie against Lyon. Second-half goals from Pablo Sarabia and Wissam Ben Yedder subsequently gave Sevilla victory, even though Valverde sent on Suarez, Philippe Coutinho and Jordi Alba as substitutes. Barcelona have lost two of the eight games they have played without Messi this season in all competitions, compared to defeats in two out of 24 matches he has played. 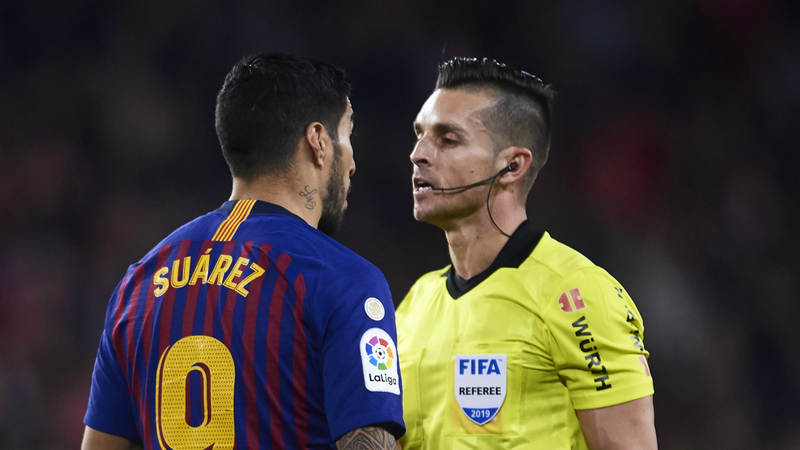 But Suarez would not blame Messi's absence for Barca losing, with the Copa del Rey holders also having to come from behind in the last round against Levante. "Leo was not in other games and we took over the responsibility of the team and we took the games forward," Suarez said. "Today it was not an excuse, I hope Leo is in the second leg because it makes a difference. "We have plenty of players and spare enough to overcome." Barca defender Gerard Pique demurred when asked if Messi should play in next Wednesday's return leg. "We have a very competitive squad and the coach wants us all to participate," Pique said. "The performance has been good but they have taken advantage of their chances. "Messi in the return? It's the decision of the coach."